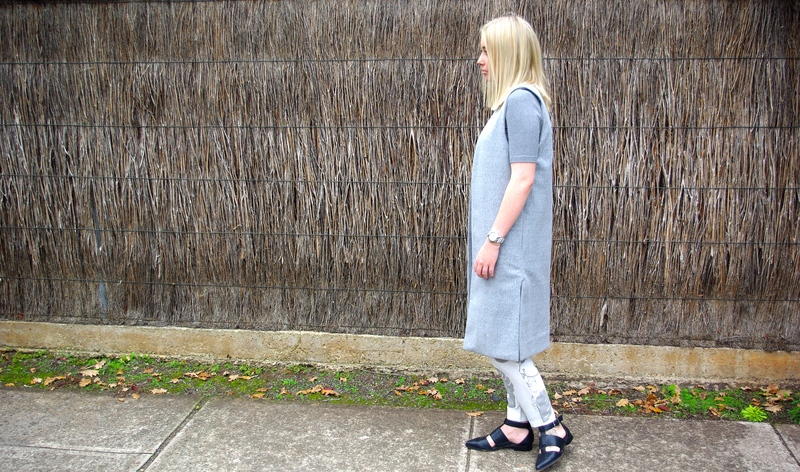 Grey – is there any better tran-seasonal colour? 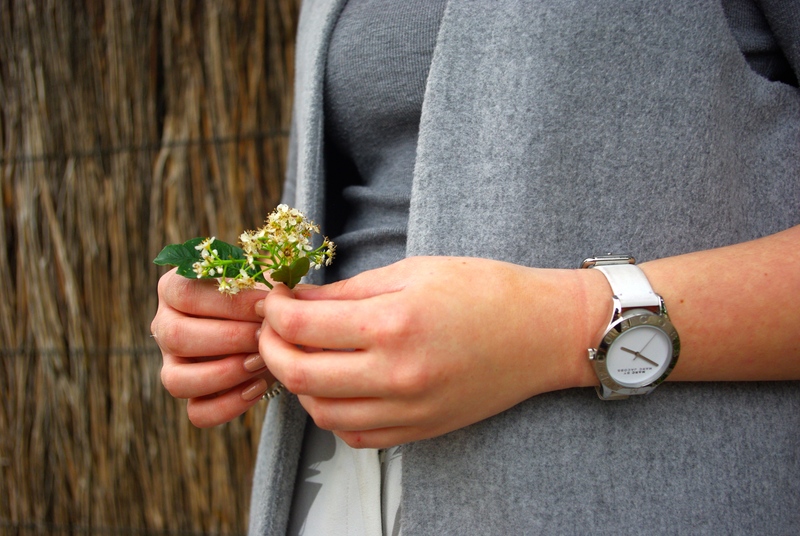 This gorgeous light grey is the perfect staple palette that will take you from Autumn to Winter. Easily worn with white or black (and every other colour in between!) and yet it brings such a fresh vibe to your wardrobe through every season. 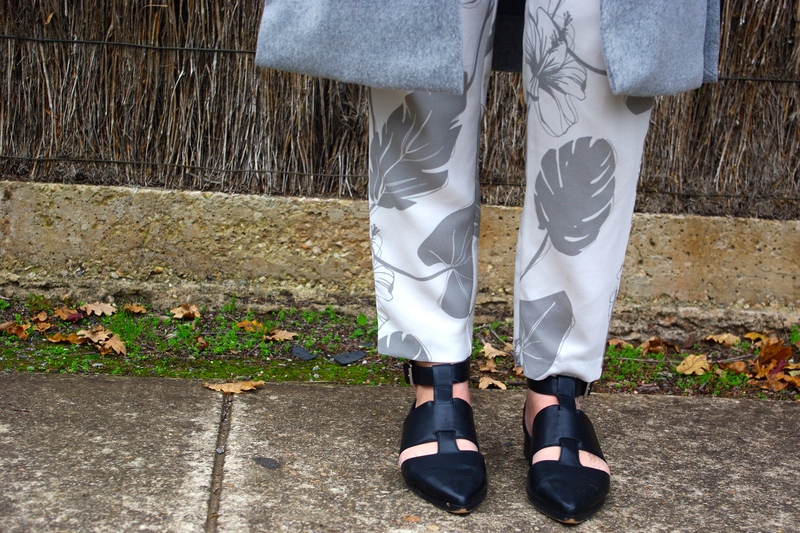 I dedicated this outfit to a monochromatic theme, by sticking with light grey throughout, introducing white in these tailored pants and letting the light grey become a bold but classy print. 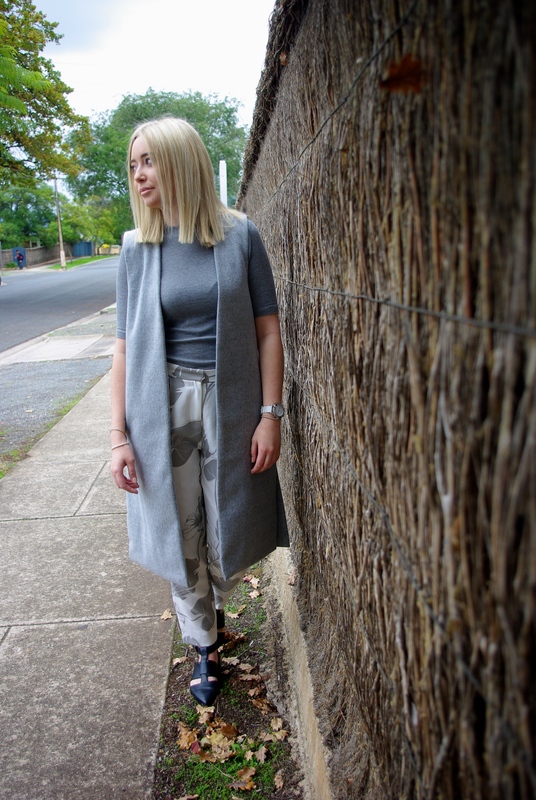 I’ve teamed the light weight pants and ribbed, high neck top with a thick fleecy vest to transition this look from the warmer months into the cooler season. Don’t go overboard with accesssories. A simple watch or fine necklace and earrings will accomplish the perfect minimalist look! Remember – less is more! Take this look further for Winter, by adding a cropped, chunky, turtle neck knit under the vest! Don’t forget to team it with a broad felt hat for a complete Winter look! Next > Grand Slam into Australian Fashion Labels!